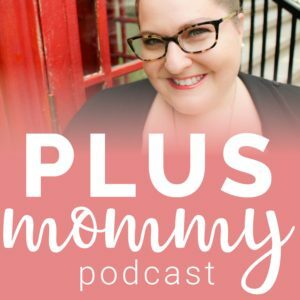 Gina Gerboth, RM, CPM, IBCLC, a size friendly homebirth midwife, joins us to talk about labor and birth positions for plus size women. Plus size women face the same dilemma that all laboring women face: how can I make myself more comfortable, and promote efficient labor progress, during labor. Though all women find some positions work better than others, plus size women may find some positions are considerably more workable than others. When it comes to labor and birth positions for plus size women, Margaret found hands-and-knees to be her lifesaver during labor. In this position, you promote optimal positioning of the baby, and can adapt it to be even more supportive for those times you really need to rest a bit. Leaning over the birth ball, a stack of pillows, the back of the hospital bed, or your partner’s lap can be quite restful and take the weight off of your arms and wrists. Additionally, delivering in the hands-and-knees position is great physiologically, takes pressure off the perineum (to help reduce tearing), and gives the birth attendant easy access to the baby for assistance. Some plus size women report feeling more exposed in this position, but rest assured that all birthing women are beautiful, and there is no judgment among supportive birth attendants. Amy, whose labor was induced and restricted to bed due to high blood pressure, also found hands-and-knees to be a great position, and alternated between that and the restorative yoga pose supta baddha konasana, or reclining bound angle pose. This is restful and supportive, and keeps the pelvis nice and open to make room for the baby. Several women said water was their labor tool of choice. The buoyancy and well-known pain relieving aspects of water helped Arian and JoDee. Arian was able to float in the water during the delivery of her son, and JoDee combined the birth pool and hands-and-knees positioning for the birth of her daughter. JoDee also said the birth ball was an indispensable labor tool. Sitting on the ball is supportive to your perineum, allows you to make subtle shifts to your position, and gives your support team easy access for back rubs and the like. You can also combine ball-sitting with forward leaning positions, which, again, help the baby rotate into a nice anterior position. If for some reason you are confined to bed, or if you just need a rest, a smaller ball or “peanut” ball can be used to support your upper leg in a side-lying position, as well. Nicole said that what felt good to her was to be forward-leaning and as upright as possible, whether sitting on the bed, standing and swaying, or kneeling—the position she ultimately utilized for pushing. Dawn enjoyed the squat bar on the hospital bed, which gives the mother something to hang or lean onto. Often, the mom is more in a seated position on the edge of the bed, with the foot dropped down like a step, rather than in a true squat. Squatting may be something that plus size women find to be challenging or uncomfortable unless they are frequent squatters. Sitting on the bed, a birth stool, or even the toilet might prove to be more comfortable, while still providing the advantage of a more open pelvic outlet that squatting offer. Some plus size women (and some smaller women) have “pendulous abdomens,” meaning that their belly leans forward, sometimes making it difficult for the baby’s head to engage in the pelvis. A belly band or rebozo can be used to hold the belly and promote engagement. Similarly, you can support your own belly by lifting it with your hands—especially during contractions. It will make the contractions feel stronger, but that is because the head is putting more pressure on the cervix, which leads to a more efficient labor. In general, all women should consider changing positions with relative frequency. It is often the movement, as much as any particular position, that helps promote labor progress. Additionally, consider alternating between active and passive positions, so you might follow kneeling with side-lying (supporting your top leg with the ball) with walking with sitting and leaning forward on the birth ball. Even if a position feels more intense, try to give it a few contractions, since that likely means that position was doing some good work. Above all, be flexible and follow your instincts. Your body was beautifully made to birth your baby. To learn more about Gina and her birth services click here.